The seventh and final book in the number-one New York Times best-selling I Am Number Four series! With United as One, this action-packed series comes to a surprising, breathtaking, and utterly satisfying conclusion. The Mogadorians have invaded Earth. Their warships loom over our most populated cities, and no country will risk taking them head-on. The Garde are all that stand in the way, but they'll need an army of their own to win this fight. But after all the Mogadorians have taken from John - his home, his family, his friends, and the person he loves most - he might not want to put any more lives in danger. He's got nothing left to lose, and he's just discovered he has been given an incredible new Legacy. Now he can turn himself into the ultimate weapon. So will he risk his life to save the world, or will he realize that power in numbers will save us all? For an entire series i was along for the ride. Epic battles book after book with Twists and turns. Such a great series. then came the final book. i listened and was sad you only got two voices, only two narrators, only two minds. For a book that called itself united as one I was sorely disappointed that it ended so haphazardly and everyone left went off on their own. The unity and family was missing in this book. They forgot what had made the other books great and almost ruined everything by turning it into a revenge and violence novel instead of being multi voiced and character driven. So sad, too bad, oh well. so unsatisfying. Now I have to find some fanfic writer who wrote a better ending to such an awesome series. I'm a huge fan of the book series, however as the final book I felt it was a little lack luster. Even of this was not the finale this was definitely the least exciting book. However it does not ruin the series one bit. Fantastic series!! I waited forever this story and I'm a little disappointed at the ending. Decent read. Would you listen to United as One again? Why? Probably not. While I've enjoyed the series, the narrator killed this book for me. About 10 minutes into the book I almost stopped listening due to the male narrator. This is a book that is supposed to be from a teenage boy perspective, so why does he sound like a 60-year-old smoker. It only got worse with the voices used for all the other characters. I do think this narrator would be amazing in a spy novel or some older police detective role, but this was horrible. Even the female narrator sounded way too old for the character of Six. I did complete the book as I wanted to finish the series, however it's not one I would enjoy listening to again. I enjoyed all 7 of the books but, this one was very good and a satisfying ending. this book was amazing along with the many other books I loved it what more can I say. Wonderful story. Well told and excellently written. The characters come to life and are very human for aliens. A series I will cherish for a long time. You could say perhaps that I grew up with this story. I remember when I started reading, and compare it to now with a smile on my face. The story is delightful, the only problem I had was poor character design, everyone's monologue seemed the same. All the same, loved it. This book series has been part of my life for years, and as sad as I am to have gotten to its end, I am also happy to see the Lorien in peace. 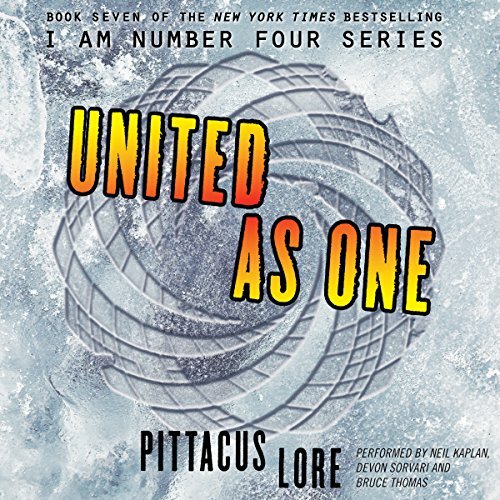 Pittacus Lore will forever be part of who I am, and I am proud of that.